The Detroit Tigers decided that a total rebuild included a change at the top releasing David Dombrowski from his contract less than a week following the trade deadline. If you are a Tigers fan, breathe. It was a given Dombrowski wasnt going to come back — not because he was a bad GM — but his impact with the organization ran its course. He had it better than any GM in the history of the Tigers; an owner in Mike Illich who was able to live out his minor league dreams, an open checkbook…..wide open and a stretch of success on the diamond that hadn’t been seen in Detroit in ages. 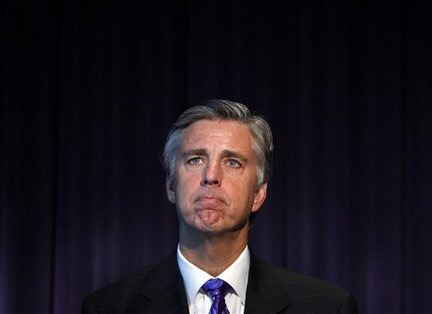 Dombrowski came to Detroit off the heels of assembling a squad in Miami that won the World Series in 1997, but nothing much after that due to the fire sale. His first season was highlighted by firing former GM Randy Smith, manager Phil Gardner and interim skipper and Tigers’ legend Alan Trammell after a 119 loss season. His first significant move was the signing of free-agent catcher Ivan “Pudge” Rodriguez. Dombrowski’s willing to go after the big name was a sign to fan base the organization would be willing to use its financial influence to go after top free agents. Coming off a 71 win 2005 season, the team hired Jim Leyland and eventually reached the 2006 World Series and Dombrowski earned his stamp of approval. A combination of shrewed business deals and succes lured the likes of Magglio Ordonez, Dontrell Willis, Miguel Cabrera and Kenny Rodgers to name a few. Fans began to blindly trust Dombrowski because of the sudden success of the team — not only had they made the World Series for the first time since 1984, the team was in the playoffs for the first time in 19 seasons. Blockbuster trades and the acquisition of marquee free agents started to become the norm and over 3 million fans ventured into Comerica Park to see them win. Things seemed great… except for one thing, no championships. Not only is the organization in a better position financially, there was a league-wide perception that Detroit had become a desired destination spot for the whose-who of free agent — not just because you had a chance to win, but they paid very well. Unfortunately being a mid market team with a large market payroll is a business plan that can only work for so long and the demise of the Tigers became evident a few years back. The off-season that followed after the team was swept by the San Francisco Giants in the 2012 World Series was extremely pivotal and unfortunately set the tone for how the organization stands today. Mainstay contributors like Magglio Ordonez, Carlos Gullien and fan favorite Brandon Inge were cut. Victor Martinez tore his ACL and was out for the season and the team was desperate to stay the championship course. Dombrowski had to do something and it came in a 9 year $214 million gamble in the signing of Prince Fielder. While the fan base was excited many didn’t recognize the desperation in the signing. Not only had it come a week after losing Martinez but one-third of the core of his line-up did not return, so he hoped that the son of a former Tiger great could fill the gap. It backfired and not only was Fielder eventually dealt to the Texas Rangers but it started a tailspin within the organization that ultimately led to the parting of way for Dombrowski and the team without reaching its goal of a world series pennant — despite all the talent the team had accumulated. General Managers get the credit when teams win, as they are generally hailed as the brains who constructed a masterful lineup, but rarely get the blame when a competitive team never reaches the paramount. Sadly Detroit sports fans know this feeling all too well as its basketball franchise, the Detroit Pistons, experienced the same fall from grace. The lessons learned from the basketball team is probably what lead to Dombrowski no longer being a part of the organization. Joe Dumars stayed around too long as team President of the team and his legacy in that role will forever be questioned, even though he played a major part in all three franchise championships. Mike Illich appreciates the work Dombrowski put in to make his team relevant and competitive, but the 86-year-old is a successful business man and is cutting his losses before it’s too late.